Cleans and cares for the skin on the face and body. 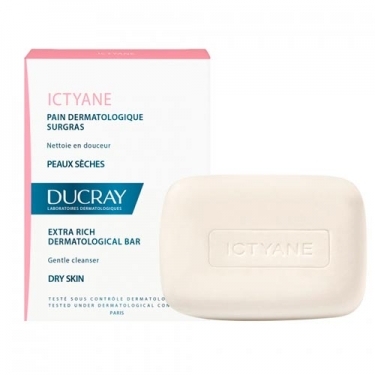 DESCRIPTION: Ictyane Pain Dermatologique Surgras from Ducray is a soap that gently cleanses dry and fragile skins thanks to its washing base. Enriched with a Complex Vaseline / Glycerine, Shea Butter and with a Soap free Wash Base: Disodium Lauryl sulfosuccinate + Sodium Coconut Sulphate, dry skin quickly recovers smoothness and suppleness, as well as a feeling of immediate comfort. 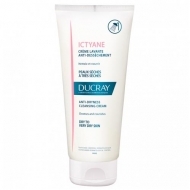 The creamy texture and delicate scent make it extremely pleasant to use on both face and body.